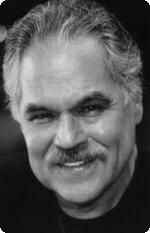 Luis Valdez was born June 26 in 1940. He is regarded as the father of Latino theater and the playwright of perhaps the most famous Latino play of all time – Zoot Suit. A former migrant worker, the California-raised Valdez was inspired to go into theater after a teacher cast him in a school play, according to the San Jose Mercury News. He didn’t perform in the production, but the experience led him to study drama at San Jose State University. In the 1960s, he marched with United Farm Workers leader César Chávez. He founded El Teatro Campesino – with shows performed on flatbed trucks and union halls during the Delano Grape Strike. The company later moved to San Juan Bautista, Calif. In 1977, the theater performed Zoot Suit, which was inspired by the 1940s riots in Los Angeles. The play was a smash – going on to Broadway in 1979 and becoming a movie, which Valdez directed, in 1981. Valdez also directed the 1987 movie La Bamba, about music great Ritchie Valens. His theater company continues to produce plays today. He recently talked about his career in this radio interview. When I was in college a group of us traveled to San Juan Bautista and saw one of his plays. It resonated so deeply that theater took on a whole new meaning. My entire family went to see Zoot Suit in LA after that. What a wonderful contribution Luis Valdez has made.